Born: 30 July 1858, Durban, South Africa. Died: 10 May 1911, Durban, South Africa. Alfred Duchesne Millar was a son of John Millar, at one time member of the Legislative Council of Natal, and his wife Ellen Ayres. He was an older brother of the naturalist and taxidermist Harold M. Millar*, and a nephew of Thomas Ayres*, the renowned bird collector of Potchefstroom. Alfred was educated at Durban High School and Hilton College, near Pietermaritzburg, and became a notary (1881), solicitor (before or in 1884) and later a prominent advocate, serving as vice-president of the Natal Law Society for some time. He was a keen sportsman and was married to Jessie Jane Nimmo, with whom he had three children. Practically all his spare time was spent in the pursuit of natural history. Initially he was interested mainly in mammals and taxidermy, mounting many specimens with care. However, his most important contributions were made to ornithology and entomology. He had very keen eyesight, was adept at climbing trees in pursuit of specimens, and his notes on various life histories were models of patient labour. Around 1890 Millar visited Karkloof gorge to collect butterflies. There he met the young brothers Austin and Noel Roberts* and asked them to send him butterflies from Lydenburg. He presented insects to Albany Museum, Grahamstown, (1894) and also many valuable and interesting specimens, including beetles, to the South African Museum, Cape Town (1895, 1897). Janse (1940) described him as one of the foremost early insect collectors in Natal, who had a fine collection of butterflies, many of them bred, and also a good collection of beetles. Unfortunately he neglected to attach locality labels and other field data to his specimens, which deducted from their scientific value. His collection of 2740 butterflies, representing 396 species, was acquired by the Durban Natural History Museum. His breeding experiments with butterflies were reported on to the British entomologist Professor Edward B. Poulton*. Millar's general interest in natural history is shown by his paper, "Zoological notes from Natal", published in The Zoologist in 1899. In this paper he described a huge ray (cartilaginous fish), an aspect of reedbuck behaviour, and birds' nests in an active ant-bear hole. 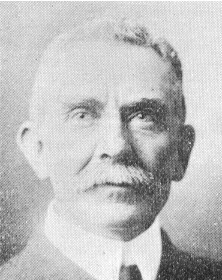 He became a member of the committee of the Durban Natural History Museum in 1895 and was one of its most active members, serving as its president from 1908 to 1910. With other members of the committee he supervised the transfer of the museum from the old town hall to the new city hall complex in 1909, as the curator, J.F. Quekett*, was ill at the time. The Millar brothers collected birds extensively in the neighbourhood of Durban. Alfred presented bird skins and eggs to the South African Museum during 1900 to 1904, many of them new to the museum's collections. Most were from the Durban area, but some were from Beira, Mozambique. He also provided copious notes on the breeding behaviour, nests and eggs of Natal birds to Dr W.L. Sclater*, then Director of the South African Museum, for Volumes 3 and 4 of The birds of South Africa (1900-1906), a work commenced by A.C. Stark*. In 1906 he published "Ornithological notes from Natal" in the Journal of the South African Ornithologists' Union (Vol. 2(1), pp. 32-35), followed two years later by a paper "On the nidification of the Striped Kingfisher (Halcyon chelicuti)" (Vol. 4(1), pp. 37-40). Over the years he built up an extensive collection of birds' eggs, which was later acquired by the Durban Natural History Museum. It served as an important source of information on breeding dates in Natal, egg colour and size, and formed the basis of much of the nesting and breeding information contained in standard works on South African birds published up to half a century after his death. Millar was a reserved person, but belonged to a variety of local and British scientific societies. He became a member of the South African Philosophical Society in 1899 and remained a member after it became the Royal Society of South Africa in 1908. He joined the South African Ornithologists' Union in the year of its formation (1904), served on its council from 1906, and as vice-president from 1907 to the year of his death. He served as president of the Natal/Durban Field Naturalists' Society/Club (founded 1889, defunct by 1910). In August 1910 he was the leading founder and first president of the Natal Scientific Society, serving until his death a few months later. His last paper, "Notes on the nesting habits of certain birds little known or undescribed" was published in the society's journal The Naturalist in January 1911 (Vol. 1(3), pp. 116-120). In Britain he was a corresponding member of the Zoological Society of London, a member of the Entomological Society of London, and a colonial member of the British Ornithologists' Union. He died as a result of blood-poisoning at the age of 53. Brain, C.K. Austin Roberts. A lifelong devotion to South Africa's birds and beasts. Cape Town: John Voelcker Bird Book Fund, 1998. Cape of Good Hope. Report of the trustees of the South African Museum, 1895, 1897, 1900, 1903, 1904. National Automated Archival Information Retrieval System (NAAIRS). http://www.national.archives.gov.za/naairs.htm Documents relating to Alfred Duchesne Millar / Alfred D. Millar / A.D. Millar. The Naturalist, 1911, Vol. 1(3), Council of the Natal Scientific Society and paper by Millar. Obituary: Alfred Duchesne Millar. The Naturalist, 1911, Vol. 1(5), pp. 181-186. Obituary: A.D. Millar. Journal of the South African Ornithologists' Union, 1911, Vol. 7, pp. 92-93. South African Ornithologists' Union. Journal, 1906-1911, Vol. 2-7.